The Zika virus has swept popular travel destinations, prompting the CDC to declare them no-go zones for pregnant women. But this news might change that. If the Zika virus—and the travel warnings associated with it—have you rerouting your travel plans, you might want to listen up: We've just learned that the travel guidelines come with a bit of a caveat. 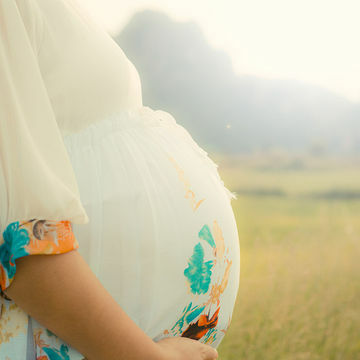 While the Centers for Disease Control and Prevention has issued an ever-growing list of places that pregnant women should avoid (refresher: though it's a mild virus, Zika can have terrible consequences if it affects a pregnant woman), there's been a slight revision to that policy. According to the CDC, Zika is likely not a threat in places with elevations over 6,500 feet. The virus is spread by mosquitoes of the Aedes species, which are rare at those high altitudes. The CDC has released a destination-specific list of travel notices for those elevated areas. Higher-altitude destinations within Zika no-go zones include popular tourist spot Mexico City, which sits at 7,349 feet above sea level. There's something that's definitely worth considering before you get too excited about this news: While the actual mosquitoes in these areas probably aren't the kind that can transmit Zika, local transmission is possible. That is to say, a person who has the virus could get bitten by another mosquito, which will then become a carrier. With that being said, if you do travel to places with high elevation, take extreme precaution and, as always, speak to your doctor before making any plans. Tongo, Samoa, the US Virgin Islands, Venezuela and Saint Martin are among the destinations classified as "warning level 2" for Zika, which means passengers should be extra cautious if visiting them. However, local transmission has been reported in all these destinations. If you must travel to any of these areas—even those with high altitudes—keep a few things in mind. Zika can be transmitted sexually, so if you're pregnant and with a partner who has visited an area touched by Zika, either abstain or use protection. If you must travel to any area where Zika is present, be sure to wear long sleeves, pants and mosquito repellent and sleep in an air conditioned room.